After two successful BSA-famed versions, the Rickman Brothers developed the Mark III Metisse, sporting a beautiful nickel-plated frame of their own design and construction. 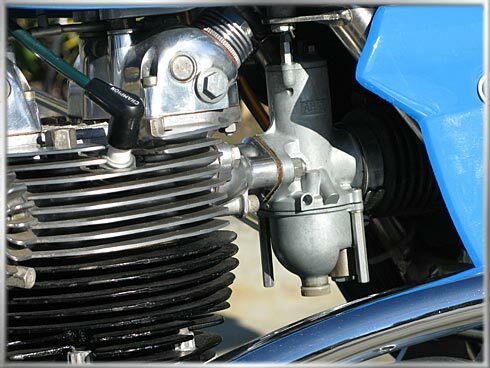 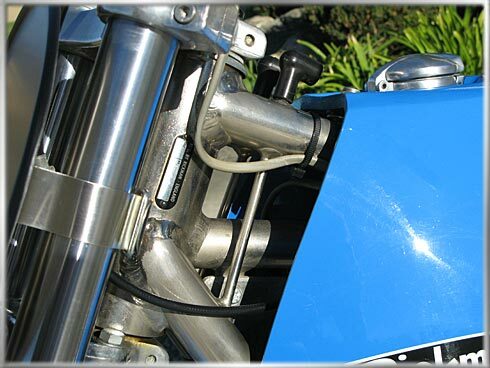 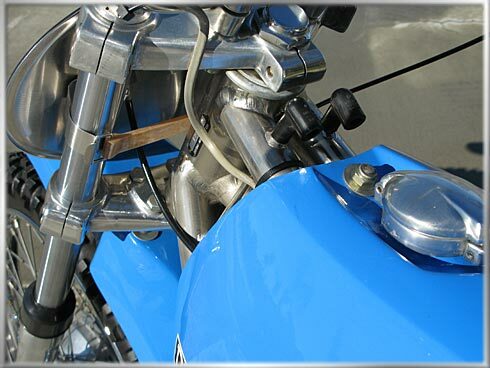 Engine oil was carried in the frame and additional weight savings were gained by utilizing snail-cam chain adjusters mounted at the swing-arm pivot, reducing the unsprung weight, and extensively using fiberglass for the gas tank and other bodywork. The Metisse had become a potent weapon and a thing of beauty, as well. 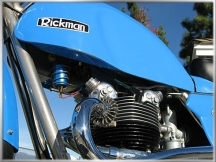 So much interest was shown in the Mark III that the Rickman brothers began commercial production of chassis kits, capable of housing a number of different engines, in 1962. 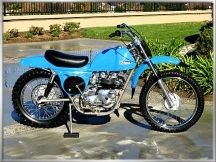 The quality and handling of the Rickman chassis, and its acceptance by world class competitors, was well demonstrated by the fact that 24 Metisses were on the line at the Motocross des Nations in 1964. In 1966, the Mark IV chassis was introduced, a refined version of the existing frame. The Rickman that you see here is a Mark IV chassis powered by a 500 cc Triumph twin. 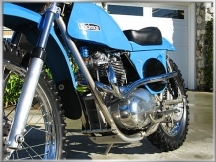 This is representative of a combination that carried the Rickman brothers and many of their customers to wins throughout the 1960’s and early 1970’s, before the lighter two strokes ran them off the tracks of Europe. 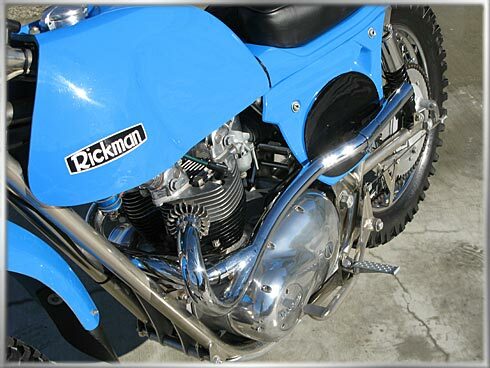 This Rickman is new and was never sold. 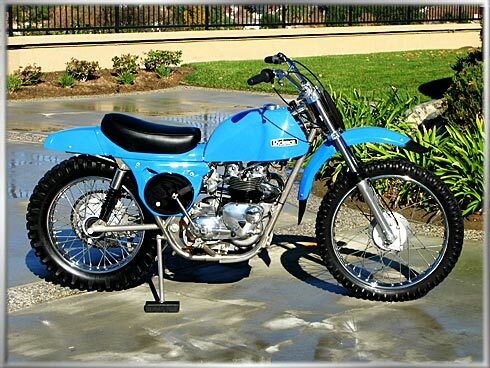 It sat in the window of a northern California bike shop from 1974 to 2011. When the owner of the shop passed away, the bike sold at auction in 2011, and it sits just as it was built all those years ago.